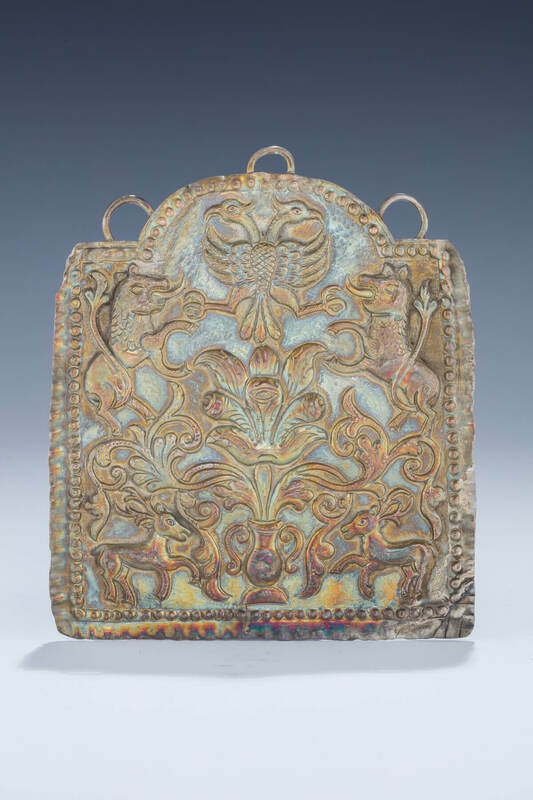 AN EARLY SILVER TORAH SHIELD. Galician, c. 1790. Hand chased with two deers, a blossoming flower pot, two lions and a double headed eagle. 6” tall.